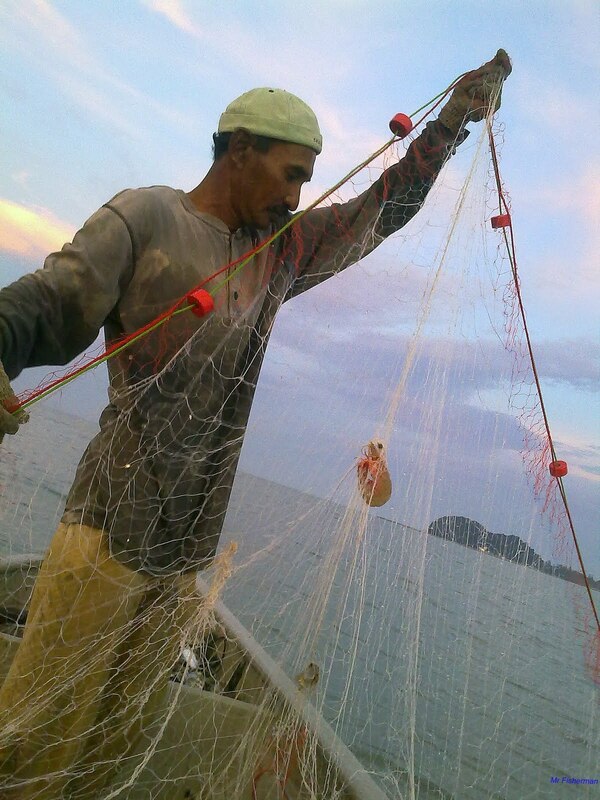 This blog is created to document my fishing experiences in Tanjung Leman. I am currently working in a multi national corporation in Johor but my part time job on Saturday is as a fisherman. I'm probably the first Chinese small scale fisherman in this area. It all started with an intention to make a family trip to Mersing on a Saturday in April 2011. We were approaching the Mersing district when I decided to stopped for a sugarcane drink in a place called Felda Sungai Ara. I had a chat with a young man while waiting for him to prepare the drink. From there on I diverted my destination to Tanjung Leman. In Tanjung Leman after a day of swimming and playing on the beach I finally stopped by a Malay restaurant for dinner and met a fisherman called Salleh. He had just came back from sea with about 20 Kg of King Prawn. Bought some prawn from him and he offered some more silver pomfret. After buying the seafood, we went back to Skudai. It's the freshest fish I had ever tasted in Johor Bahru. From there on I came to know a lot about the length of months fishes in the Johor Bahru market are kept using formalin. The following week I made another trip and I've been hooked to that place until now. 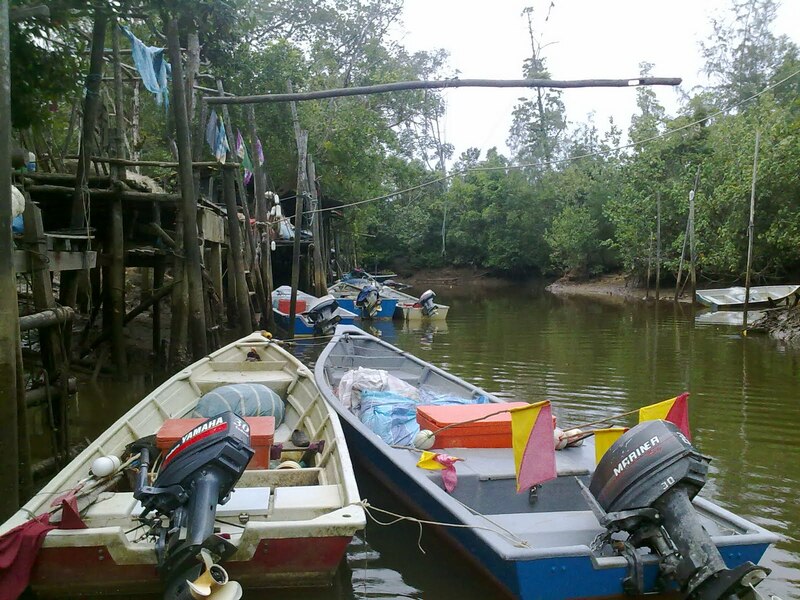 Today I owned 60 fish trap and travel to Tanjung Leman every weekend. I collect the fish in the sea together with Salleh for own consumption and sell the remaining fresh fish in Johor Bahru. Visit my web pages if you are interested in the fish, crustacean and mollusca species found in this area. Please let me say that you have a very well written blog. I'm particularly impressed with your detailed collections of Malaysia fish species and the photos. I would like to use the information and images of the species and will would also provide the links and credit back to your blog.